During 2017 close to 5.5 million people switched their energy supplier in search of a better deal. The trend looks set to continue in 2018 with nearly 400,000 customers switching in January alone. But what’s most telling is that nearly 25% of these switches were customers choosing to leave a big supplier for a smaller. So why the change and why are we turning to small providers? According to data collected by MoneySuperMarket.com, customers who switched between January – August 2017 saved an average of £250 per year by switching energy supplier. This figure will vary depending on your individual circumstances, but savings can be even more than this in some cases. They claim that the average standard tariff from a Big Six supplier could cost as much as £325 a year more than some small suppliers. So why isn’t everyone switching? A smaller supplier is at more risk of going bust. If any of this sounds familiar, you should know that it’s now easier and safer than ever to change your energy supplier. Online comparison tools enable you to compare tariffs like for like based on your actual energy usage so you can see where you will save the most money. If you ever are charged twice you can request a quick refund and if you pay by direct debit the money will be put straight back into your account. With regard to energy suppliers going bust, Ofgem protect consumers against this. If your supplier does go under, Ofgem will automatically transfer you to another supplier so there is no interruption of gas or electricity supply. And in terms of it being too much hassle to switch or risking large exit fees, you should know that the Energy Switch Guarantee (ESG) initiative is in place to ensure this isn’t the case. The Energy Switch Guarantee is a voluntary initiative by the energy industry. A large number of UK suppliers (90%) have signed up to agree to certain conditions ensuring that it is hassle-free and quick for customers to change energy supplier. “It’s great to see 2018 picking up where 2017 left off. There’s real momentum behind switching as more and more customers find they can save money on their energy bills by taking advantage of the competition and choice that is out there. Find out who your current supplier is, the type of tariff you’re on and your average energy consumption for the year. All the information should be on your latest bill but there online tools which will estimate your energy usage based on the size of your home and number of family members. Put this information into a comparison tool and, using your postcode, it will generate a list of suitable suppliers and tariffs. 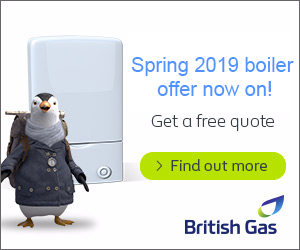 You choose the best option for you; you’ll be redirected to a confirmation page to enter your details, meter readings and how you’d like to pay your new energy supplier. The new supplier will take care of the switch and your old supplier will organise your final bill. If you are owed any money by your old supplier this should be refunded automatically but you may need to chase this up. The whole process shouldn’t take any more than 21 days including a 2 week cooling off period which gives you the opportunity to cancel the switch if you want to. If you’re leaving a contract more than 49 days before the official end you may be charged an exit fee (depending on your tariff). 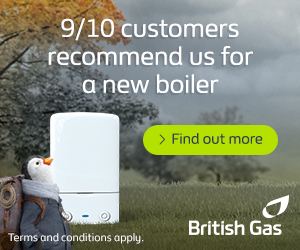 We recommend researching the energy supplier you’re choosing before making the switch to make sure they have a good customer reputation. You can use our guide to Gas and Electric Suppliers to compare user ratings from multiple sources. Standard Tariff:Also known as default tariff, the price of your energy per kWh is will increase or decrease with the industry. These arrangements are usually flexible i.e. you’re not tied into a contract. Fixed Tariff:If you sign up for a fixed price tariff you’ll always pay the same price for your energy for the duration of a contract. Dual Fuel Tariff:When both your gas and electricity are provided by the same supplier you’re on a dual fuel tariff which can mean extra discounts. Online Tariff:Opting to manage your account online can also mean reduced tariffs. With online tariffs you submit meter readings via an online portal and get bills emailed to you rather than sent on paper. Prepayment Tariff:A prepayment meter enables you to pay for energy in advance with a card or tokens. Green’ Tariff:Some energy providers will generate your electricity using renewable sources such as solar or wind power or may contribute towards environmental schemes.